This level has medium difficulty. For this level try to play near to blockers or make special candy as you get the chance. 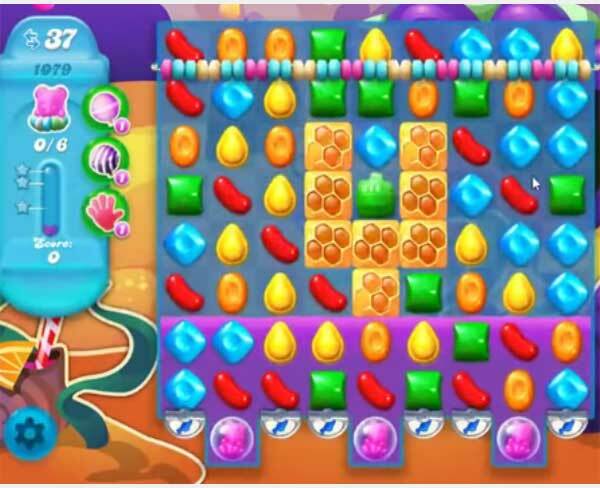 Use special candy to break the soda bottles or play near to bear to move them and take them out from the board. the brown candies on the second board are hidden beneath a layer of licorice and are also caged and its 35 moves now. please update – this looks much easier than the version that I am looking at right now. its also labeled as a “super hard” level. Ridiculous advice as usual. This is third day playing and rarely get a special candy. When I do, they’re never anywhere useful and not enough moves to maneuver. Might be going down on this one. Same thing, try after try, and no breaks.